Gabby Stocks Advances to Buyer Specialist! 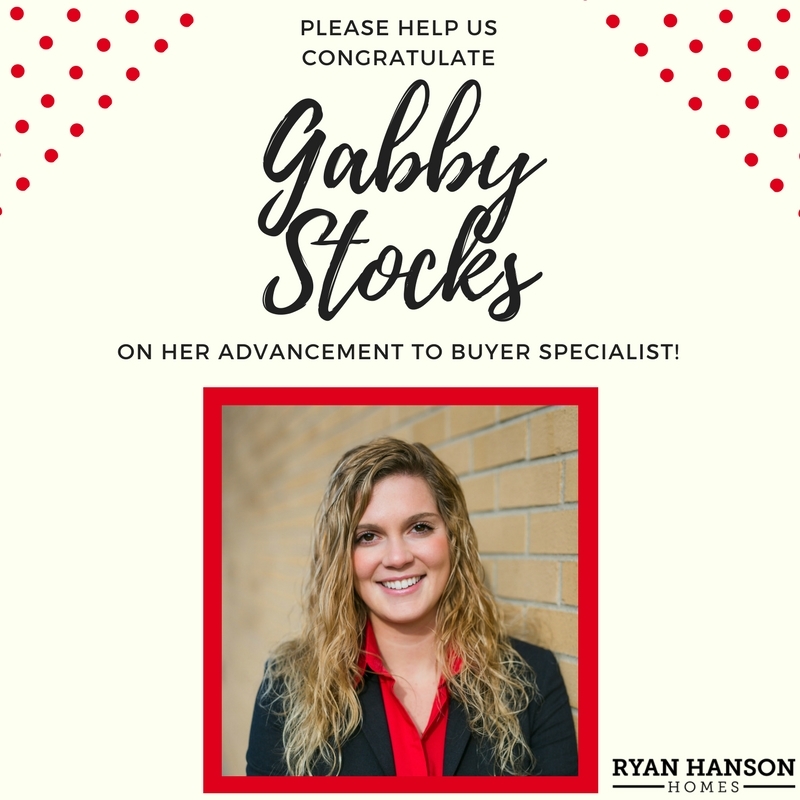 Please help us congratulate Gabby Stocks on her advancement to Buyer Specialist at Ryan Hanson Homes! We are so proud of her… for all of the hard work she puts in with a smile, commitment to excellence for her clients and intense desire to impact those around her and be the best she can be. She has grown incredibly in a short period of time and is knocking it out of the park. We are blessed to be on the journey with her!